2018 Leaf Best of Basketball has something old and something new waiting inside each box. Just as in similar sets 2018 Leaf Best of Sports and 2018 Leaf Best of Baseball, but obviously centered around hoop stars, there are two cards per box and 10 boxes per case. Inside each box is one buyback card and one original Leaf card. 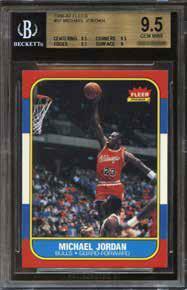 Enticing collectors with key rookies, autographs and memorabilia buyback cards from prior basketball sets issued by companies such as Fleer, Panini, Topps and Upper Deck, 2018 Leaf Best of Basketball offers a chance at some true hobby legends. However, the buyback is not the only card in each box. 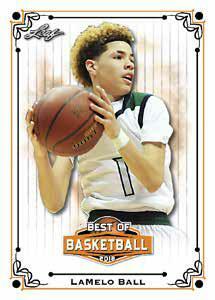 Each box also has one new Best of Basketball base card. 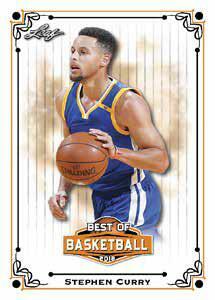 Featuring graded and ungraded editions, 2018 Leaf Best of Basketball lets collectors try their luck at a variety of earlier NBA cards. While the "Best of" line has been around for several years now, a new addition to the 2018 release is the opportunity for a redemption card good for memorabilia or sealed boxes. 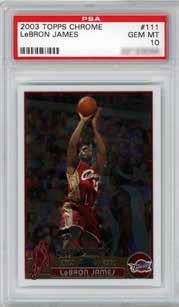 This redemption takes the place of the buyback card.